Lauren and Fernando’s wedding combined copper accents with rustic shabby chic vibes for wonderfully vintage décor that had their guests smiling all day! The couple’s wedding at The Vintage Rose began with one of the most gorgeous first look scenes we’ve ever laid eyes on: the bride and groom were surrounded by unbelievably lush white blooms and shared a serene moment together before their big day. Photography team The Portos captured every moment of Lauren and Fernando’s day beautifully, from their classic red rose floral design by Flower Allie to the bride’s beautiful boho style! I wanted a bohemian style lace dress! I didn’t want something over the top or too princess like. I wanted something that was simple, elegant with lots of lace! Something I was going to be comfortable in all day and dance in and didn’t need to fidget with! Found the perfect dress by Grace Loves Lace! I’m not one for jewelry so the only accessories was a lace ribbon to compliment my waist and a floral hair piece, that was it, and that’s all I needed with my red lips! The bridesmaids got a dress from Lulu’s which is affordable and easy to exchange for sizes or colors. They had a convertible dress which can be tied in different ways so all of them felt comfortable and flattering to their body type! The groomsmen and groom ordered their outfits from ASOS. We kept it casual and comfortable. Why have the groomsmen buy a jacket when it’s gonna be worn for only a few hours? We personalized our ceremony with the songs we choose for our ceremony which also brought more to the style and vibe of our wedding. We also choose Lauren‘s mother and step-father who already were licensed to marry us because they have been a big part of our growth in our relationship. May not be normal but it made our ceremony more special and personal in many ways. I take pride that my own mother married me. 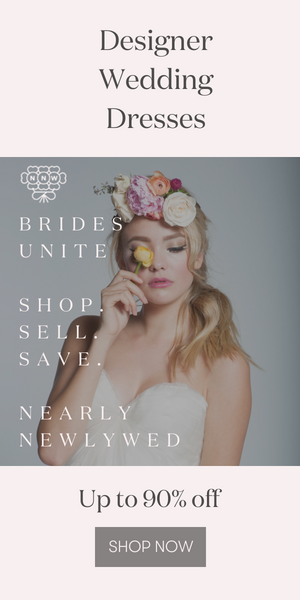 Our advice: Make sure what you’re looking for is what you want, vendors, wedding dress etc. But start as soon as you can. You want to enjoy your engagement and enjoy the planning process and have some time to rest before the big day and be excited with all you accomplished. Not stress on last minutes details, which by the way the little details are important. And if you don’t have a wedding planner, it would be in your best interest to at least have a day-of coordinator. I don’t know what we would have done without our day-of coordinator! She made Jennifer Lopez in the movie Wedding Planner look bad! I also made the guest book which I wood burned a leafless tree on a large cork board and cut it out to fit the frame I choose. Then got paper puncher shaped of a leaf and small map pins so they would sign the leaf and pin it where ever they’d like on the tree. Recessional: There are two parts of the song The Girl by City And Colour. The first part was acoustic, the second part becomes way more upbeat. We all walked back down the aisle with the second upbeat part of the song. First Dance: We love to dance, so we did something that’s not traditional! We did our first dance last because we wanted to open up the dance floor. We slow danced to Higher Love by James Vincent McMorrow and then mixed after One Dance by Drake! One thing Fernando and I were excited about was the money dance. We wanted a fun and creative way to do the money dance so we came up with a rival money dance! Fernando is a huge fan of the 49’ers and Lauren grew up in Seattle. So when the money dance came we threw on our big sports jacket where the people got to pin the money on the jackets! Do we need to announce who won? Go Seahawks! Congratulations to the newlyweds, and a special thanks to The Portos for sharing their day with us. Love this California wedding’s classic boho vibes? Check out this intimate Carmel Valley wedding at Folktale Winery! These are so beautiful!! Where were the outdoor photos taken? They are break taking! Hi, I was wondering where this couple, Lauren and Fernando, had their first look? Thank you so much! Hi, Do you know the name of the location of their first look photos?